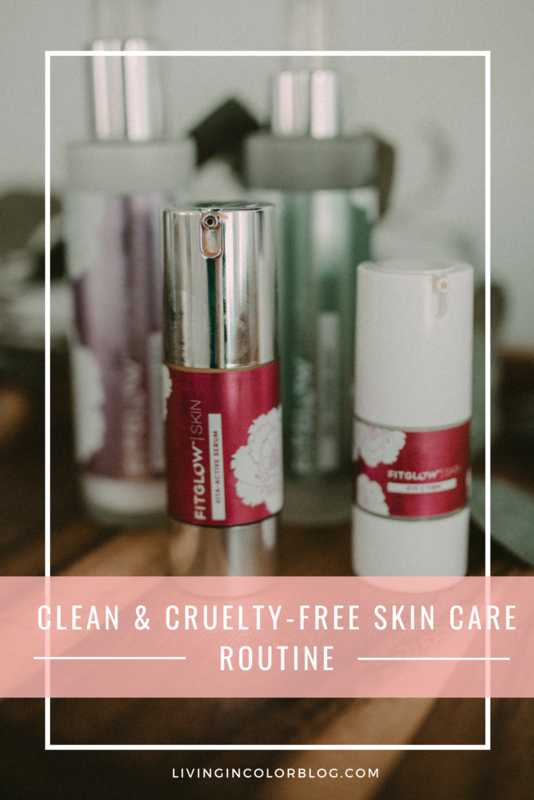 I have been trying to write this post about my non-toxic and cruelty-free skin care routine for like a year. I used to use brands like Dermalogica and even Proactiv, but never saw results. I kept wondering why. I was religious about my skincare routine, and I didn’t ever sleep with my make-up on. I even ate a super clean diet, but never had clear skin. Keep reading to see what I did differently and how it’s made a night and day difference. I’ve been using a three-step routine since high school, but like I said, I never had clear skin. 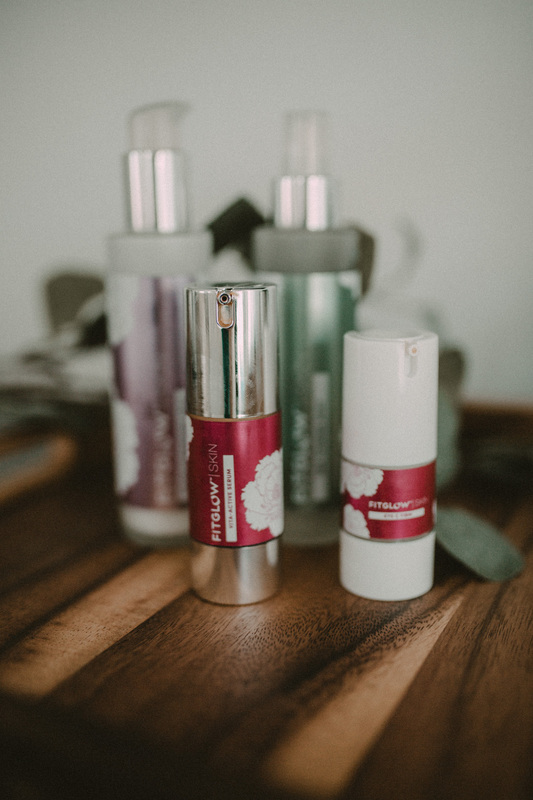 It wasn’t until just recently that I switched my products to non-toxic ones (meaning skin care lines with minimal ingredients and without harmful preservatives) that my skin cleared up. For my cleanser I use the Fitglow Calm Cleansing Milk. It’s only $39 for a huge bottle, and you only need one pump (or one and a half) to cleanse your face at night. It has organic cucumber and aloe juice, and honestly just feels so nice on my skin. I simply take my make-up off, then apply the cleansing milk to my dry face (you don’t wet your hands or face first) and let it soak in for around 15 seconds after I apply it to my whole face. Then I rinse my face off with warm water and pat it dry. Toner is great because it helps remove additional make-up that you didn’t catch during the cleansing step and it helps prep your face to absorb moisturizer better. I love the Fitglow Sea Toning Mist. The mist is so light, and only costs $39 per bottle. The bottles are giant! After cleansing my face and patting it dry, I take the toner and either spray it onto my hand and apply all over my face (by patting gently) or I’ll spray it onto my face! Fun fact: it can also be used to set your make-up! Moisturizing is key for people like me that have super dry skin. I don’t like scents, so I wanted my moisturizer to be unscented and very light, as I moisturize both in the morning and at night! 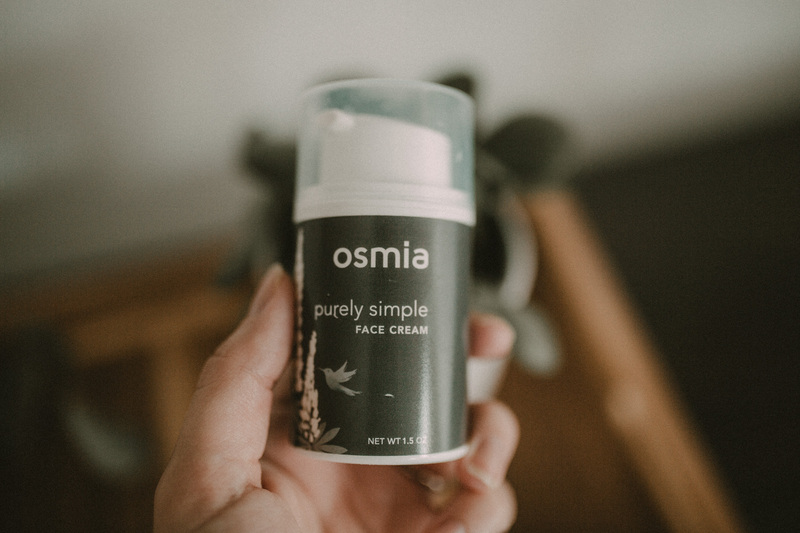 I use the Osmia Organics Purely Simple Face Cream. It’s $60 per bottle but completely worth it in my opinion! It’s transformed my super dry skin. 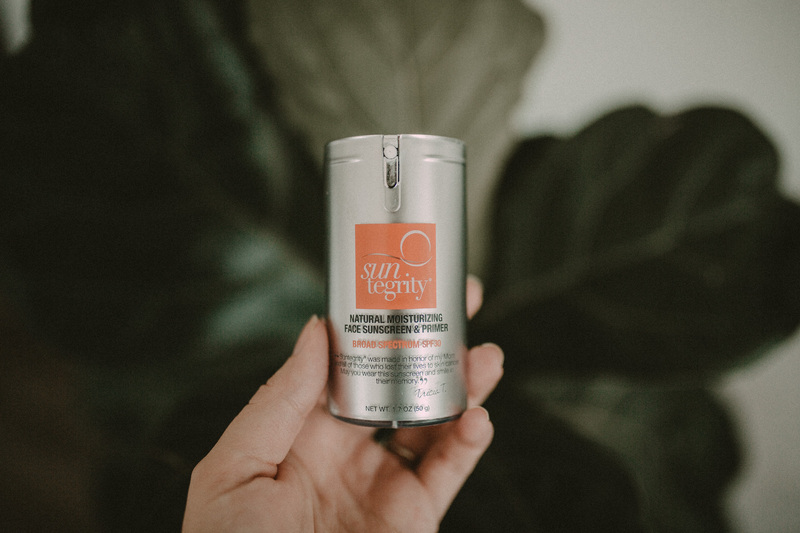 I get so many questions about effective, yet non-toxic anti-aging products. This is something that took me a long time to figure out myself. 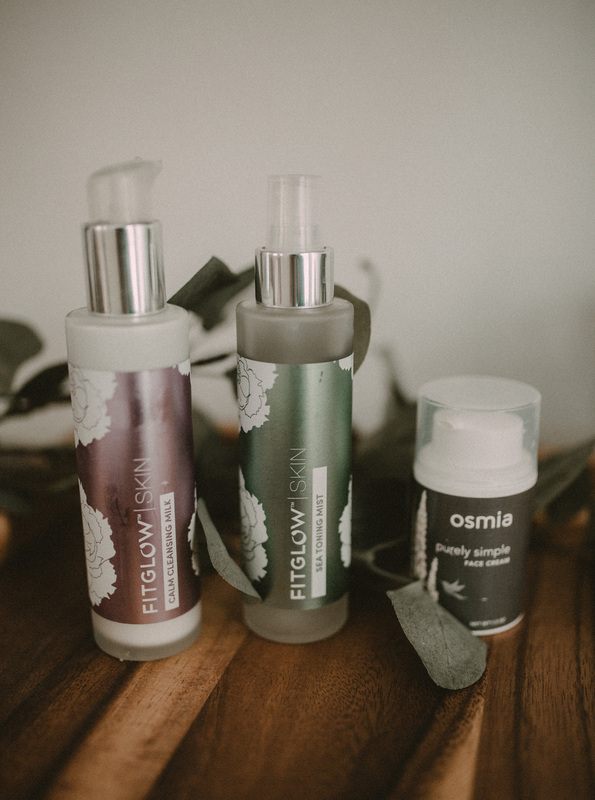 Enter Fitglow Beauty. In case you haven’t noticed, I’m a big fan of this brand. Their products are clean, and they work. 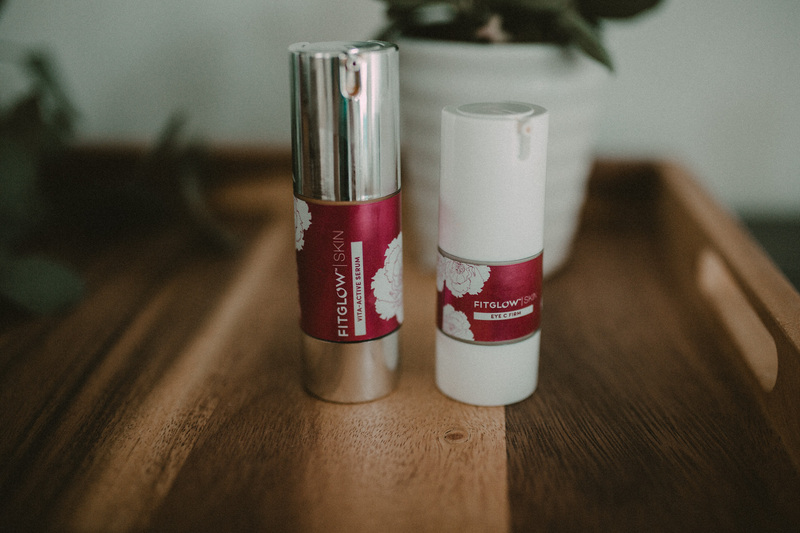 Here are two of my favorite anti-aging products by Fitglow. The Fitglow Beauty Eye C Firm cream is loaded with amazing ingredients that help reduce under-eye circles, lines, and dark pigment. I like to keep mine in the refrigerator for an extra soothing affect. Simply take one pump of the cream and rub into your fingers to split the amount in two. Tap the cream onto your under-eye area until it soaks in and that’s it! I do this nightly! I use the Fitglow Beauty Vita-Active Serum on my face after I moisturize. It increases collagen production, and diminishes spots, freckles, and sun damage. I’m a huge fan of this product and feel like it’s really helped my skin have a more even, glowy tone. Take one pump and pat it gently into your face after your three-step skin routine. I do this nightly! Lastly, this is the primer/face sunscreen I use most days if I know I’ll be spending some time outside. It has SPF 30, but it’s natural and non-toxic, unlike most sunscreens. It smells absolutely divine too! Visit my Instagram, and click on the IGTV icon to see my skin care routine live! I show you each product and how I use it in this five minute video! 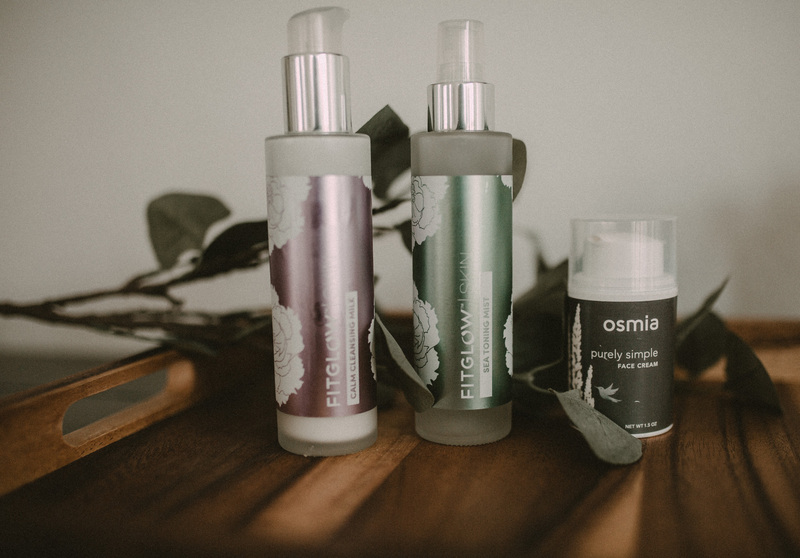 I hope you enjoyed this blog post on my non-toxic and cruelty-free skin care routine! Thank you so much for reading! 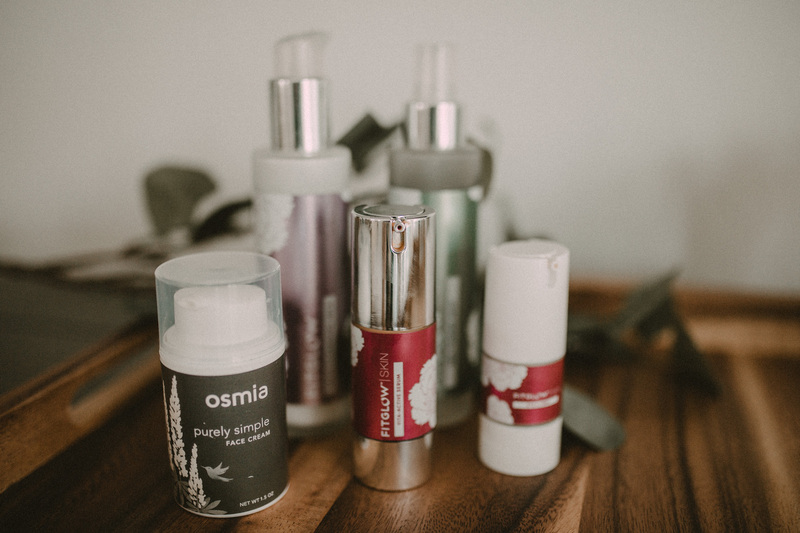 Curious about other non-toxic, cruelty-free products I use in my home? 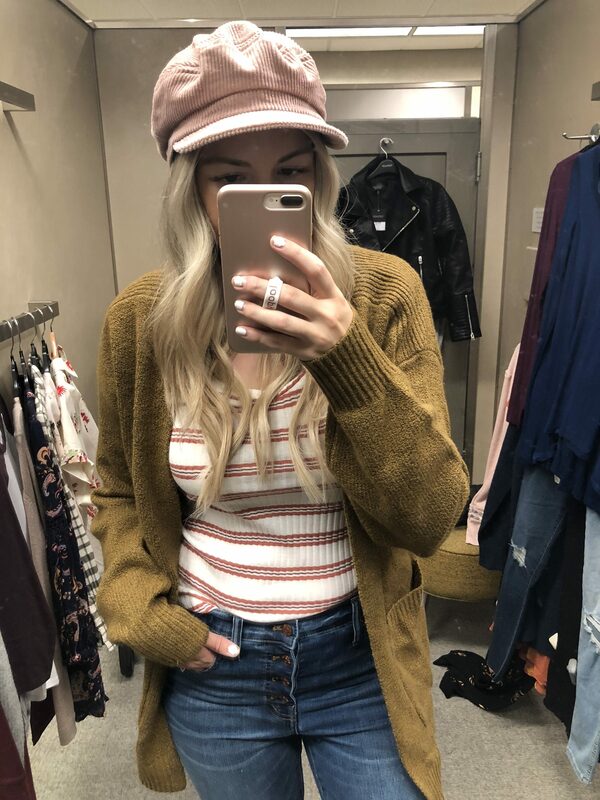 Check out this post on my favorite cruelty-free brands!